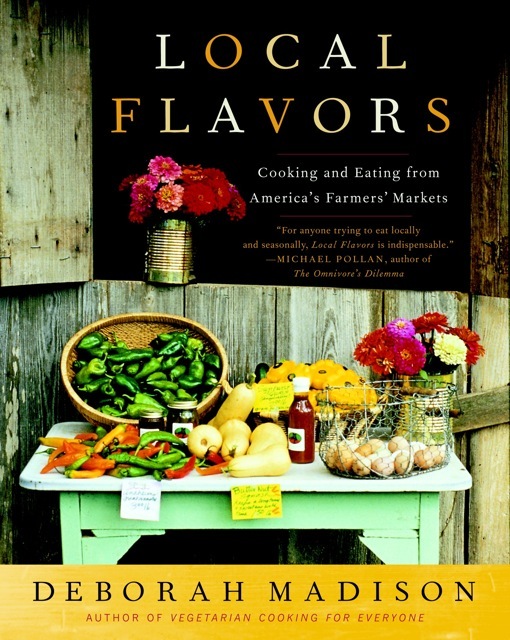 In Local Flavors, bestselling cookbook author Deborah Madison takes readers along as she explores farmers’ markets across the country, sharing stories, recipes, and dozens of market-inspired menus. Her portraits of markets from Maine to Hawaii showcase the bounty of America’s family farms and reveal the sheer pleasure to be found in shopping for and cooking with local foods. By going behind the scenes to speak with the farmers and producers, Madison connects readers directly with the people who grow their food. Full-color photographs of gorgeous produce, mouthwatering dishes, and evocative scenes from the markets will entice every reader to cook from the farmers’ market as often as possible.